Babies and kiddies love walking bare foot, right? This however, is not always practical or possible, well .. until Pitta-Patta came along :) These extraordinary little shoes have been designed to give your munchkins the closest experience to walking ‘au-naturale’ as possible – whilst still looking absolutely fab! – Pitta-Patta shoes are hand-made out of unlined leather – ideal for babies and toddlers. – They have flexible soles which provide little growing feet a comfortable environment to develop. – They absorb moisture, keeping those tiny feet cool! – They sport a soft, flexible, slip-resistant suede sole – your kiddies will feel confident to explore the world around them from the sole’s of their feet, to their tippy-toes! – You can conveniently order these shoes online, and they will be shipped to you. – There are so many designs to choose from, each one cuter than the next! – We absolutely LOVE their ‘boat shoes’! They are almost like loafers, but for teeny-tiny people :) Our favs! We can’t thank Pitta-Patta enough for sharing their amazing shoes with us – and YOU! 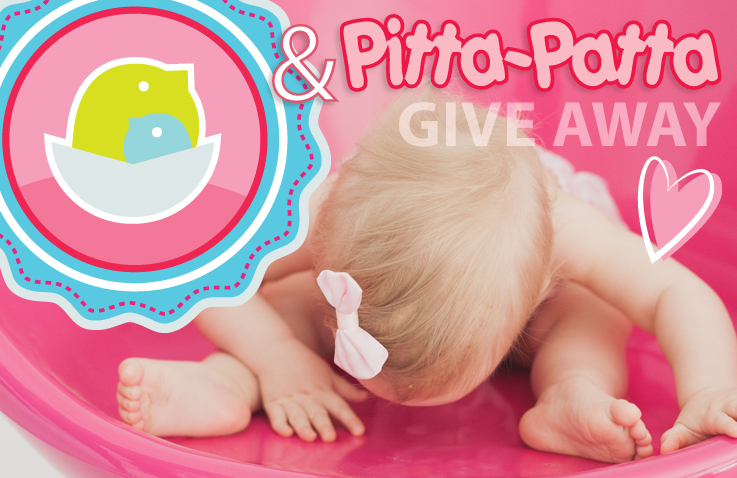 Two very lucky mama’s are going to win 2 pairs of Pitta-Patta shoes each, for their cuties – valued at R400! *Winner will be announced on the 2nd Dec 2013.